We are closing a section of the Bristol and Bath Railway Path between 1 and 19 June so that we can carry out essential resurfacing and maintenance works. 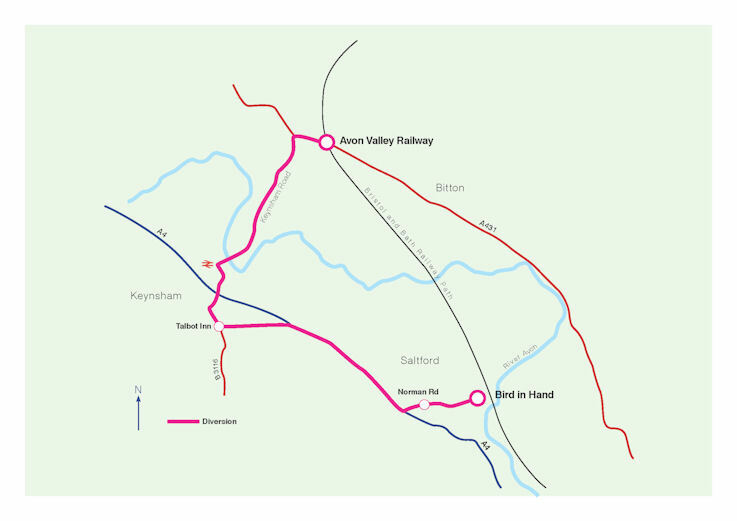 The path will be closed from the railway station at Bitton in a south east direction to the Bath and North East Somerset boundary at Saltford. We need to close this section for the duration of these works to ensure the safety of pedestrians and cyclists. We will endeavour to reopen the path on weekends where possible. A signed diversion will be in place throughout the closure period. This resurfacing work is required because the existing surface has been deteriorating over recent years. Tackling the problem now will avoid more extensive works and delays that may be required if left for longer. It is necessary to carry out this work during the warmer months of the year to ensure that the resurfacing is of a high standard. This is because the material used is not suitable for use in cold periods as it has to be transported to the site by dumper truck rather than large insulated lorries. South Gloucestershire Council’s Head of StreetCare and Transport Mark King said: “We apologise for the inconvenience caused to users of the path whilst these essential works are carried out. Once the resurfacing work has been completed, path users will be able to enjoy a smooth tarmac surface that not only offers a more comfortable ride but also offers increased safety and less damage to wheels and tyres.